When Does Spousal Support End in Florida? When a couple gets divorced in Florida, it is not uncommon for the court to order one spouse to pay spousal support (also known as alimony) to the other. In determining whether to award alimony, the court must first make a specific factual determination as to whether either party has an actual need for alimony and whether either party has the ability to pay alimony. But is an alimony-receiving ex-spouse entitled to collect spousal support for the rest of their lives? When does spousal support end in Florida? The answer to these questions depends largely on the type of alimony awarded and on the couple’s circumstances. Temporary Alimony: As the name implies, temporary spousal support does not last forever. Judges often order this type of alimony to be paid during the duration of a divorce proceeding, and then award a different type of alimony to be paid after the divorce is finalized, if necessary. Bridge-the-Gap Alimony: Bridge-the-gap alimony is awarded in order to give the receiving ex-spouse a hand while reestablishing himself or herself after the divorce. This type of alimony is most commonly awarded after a marriage of short duration, and is awarded to assist a party by providing support to allow the party to make a transition from being married to being single. The length of the award cannot exceed two years, and at the time that it is awarded the court will specify when the spousal support will terminate. Rehabilitative Alimony: Rehabilitative alimony is designed to finance the education, job training, certification, etc. that the receiving ex-spouse needs in order to become self-supporting. The timeframe within which rehabilitative alimony must be paid is specified in the award. Durational Alimony: The purpose of durational alimony is to provide a party with economic assistance for a set period of time following a marriage of short or moderate duration, or following a marriage of long duration if there is no ongoing need for support on a permanent basis. An award of durational alimony terminates upon the death of either party or upon the remarriage of the party receiving alimony. The amount of an award of durational alimony may be modified or terminated based upon a substantial change in circumstances in accordance with Section 61.14, Florida Statutes. However, the length of an award of durational alimony may not be modified except under exceptional circumstances, and may not exceed the length of the marriage. Permanent Alimony: Permanent alimony may be awarded to provide for the needs and necessities of life as they were established during the marriage of the parties for a party who lacks the financial ability to meet his or her needs and necessities of life following a dissolution of marriage. Permanent alimony may be awarded following a marriage of long duration if such an award is appropriate upon consideration of the factors set forth in subsection (2) of Section 61.08, Florida Statutes, following a marriage of moderate duration if such an award is appropriate based upon clear and convincing evidence after consideration of the factors set forth in subsection (2), or following a marriage of short duration if there are written findings of exceptional circumstances. In awarding permanent alimony, the court shall include a finding that no other form of alimony is fair and reasonable under the circumstances of the parties. An award of permanent alimony terminates upon the death of either party or upon the remarriage of the party receiving alimony. An award may be modified or terminated based upon a substantial change in circumstances or upon the existence of a supportive relationship in accordance Section 61.08, Florida Statutes. As you can imagine, an ex-spouse who is receiving spousal support in Florida is often greatly incentivized not to remarry, as doing so will likely terminate their right to collect alimony from their former spouse. Therefore, in the past many receiving ex-spouses chose to live with their new boyfriend or girlfriend without ever getting married in order to keep receiving financial support from their ex-spouse. 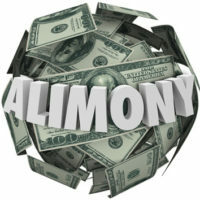 In the interest of fairness, Florida law was amended in order to allow a spousal support award to be reduced or even terminated if it can be shown that the receiving ex-spouse is in a supportive relationship with a new person, whether the alimony recipient is using their alimony to support another person, or whether the alimony recipient is having their expenses reduced by their supportive relationship. To discuss issues related to your Florida divorce, or any other family law matter, feel free to contact the Law Offices of David L. Hirschberg, P.A. today. Whether you are seeking or challenging a spousal support award, it is critical that you retain strong and effective legal representation that you trust. To find out if one of our experienced spousal support attorney is right for you schedule a confidential consultation at our Boca Raton office by calling (561) 288-8620.